A funeral enables us to express our faith, acknowledge our loss and sorrow, comfort others who mourn, and say farewell to our loved ones as we commend them to God’s love and safe-keeping. Christians believe in life after death. Ask your chosen Funeral Director to make contact with our Parish Office. They will then liaise with us to find a suitable date. Meet with the vicar to plan the service. After the service your chosen funeral director will then manage any outstanding items on your behalf. 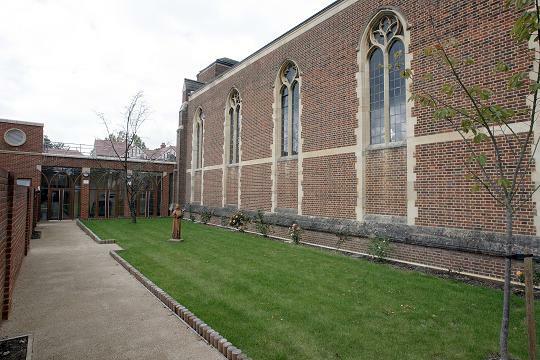 Whether or not the funeral took place at St Mildred’s, our rose garden situated in a quiet area alongside the Church, offers an ideal local space where ashes can be interred and a memorial plaque installed. The peace of this garden can help us reflect on the life of those we love but see no longer. God of all consolation, in your unending love and mercy you turn the darkness of death into the dawn of new life. Show compassion to your people who mourn. Be our refuge and our strength to lift us into the peace of your presence. If you would like to hold a reception at St Mildred’s after the Funeral, please contact our Centre Manager using our contact form or telephone 020 8655 1434.